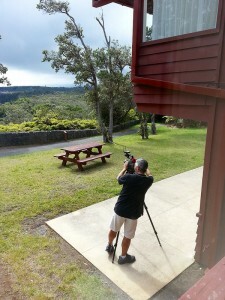 Visit the historic Volcano House Hotel perched on the edge of Kilauea, one of the world’s most active volcanoes in this video from John Yasunaga. The property just underwent a major renovation and it is the perfect time to visit this famed landmark with its warm Hawaiian hospitality, rich history and cultural legacy. Hike the Volcano House Hotel’s local trails, dine with the glow of lava in the distance, and find the perfect souvenir to remind you of your amazing adventure. For more information & reservations visit the Volcano House website.